Culture can transform cities on an epic scale, and Adriana Marques knows just how to captain that journey. Perhaps one of London’s savviest curators and cultural strategists, Adriana played a leading role in commissioning art across the Queen Elizabeth Olympic Park, navigating between artistry and technicality, poetics and politics to move (fridge) mountains and make culture a genuine part of the Park. 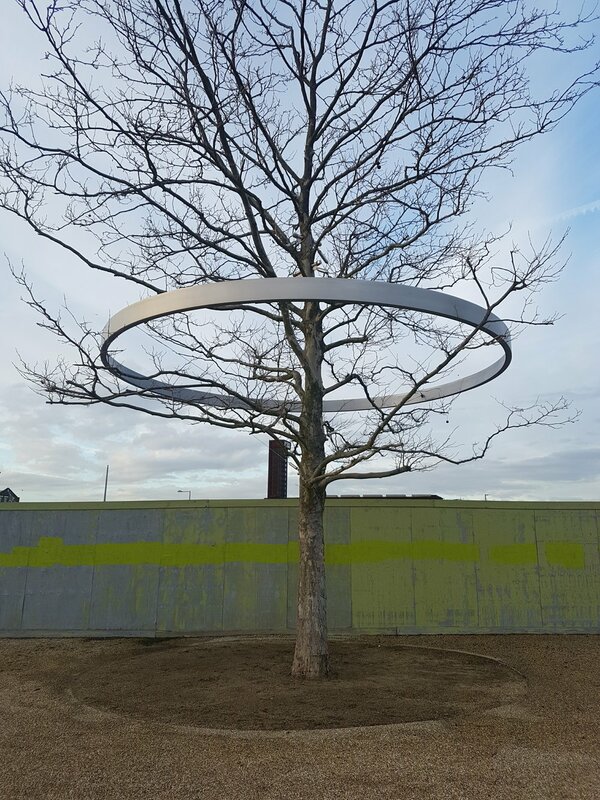 From the quiet power of a lyrical bench plaque to the visionary move of establishing a new cultural quarter, art in the park is integrated, intended to weave surprise and slowly build a story. 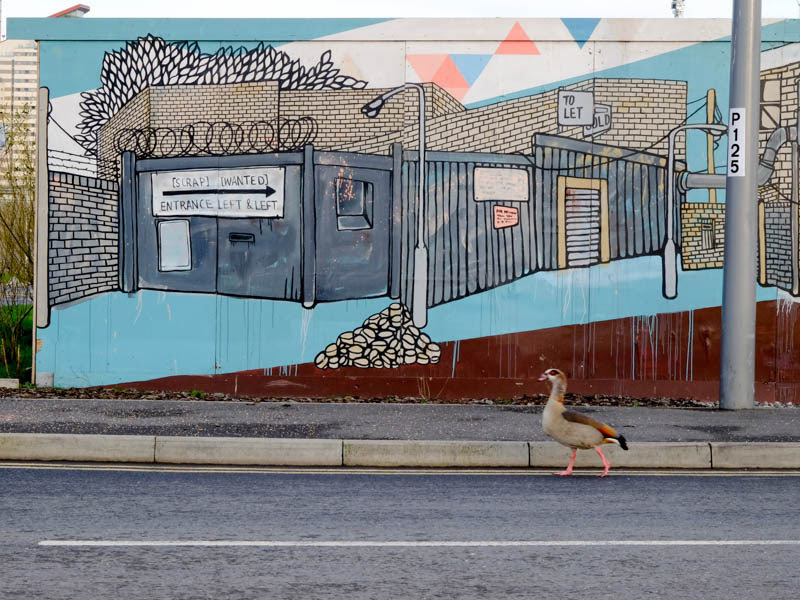 Now she’s bringing fresh eyes to Thamesmead in South London to see how arts, culture and heritage can re-inspire a new story and reality for this community of 40,000 people. But before she left the Park, we went for a walk to look back on what she’d learnt. You worked on the development of the Olympic Park for seven years. How did the arts and cultural aspect have a strong role to play? How do you create permanent moments of surprise, of emotion, of intrigue? Once you string a collection of those together, you build a character for the park, and an experience. And then a step up: how do people refer to this park, what is the story that it tells, what's that wider narrative? The other element is taking a long-term view of it. I remember reading the vision for the Park, written in 2008, which imagined what a day in the life of the Park would feel like: people coming, and playing, and having small moments of wonder. Having a vision felt like there was something to work towards: an outline that you try to colour in. What was the story of the Park that you ultimately captured? When I first think about story or narrative, I think about the past tense. This wasn't always The Olympic Park — so what was here beforehand? When I gave Park tours, it’s those kind of things that stuck with people: the railway sidings, the inventions that happened here, the urban legends of ‘Fridge Mountain’, where fridges were stacked metres high. That kind of stuff excites, because it gives people a sense that this is real. I’ve just talked about this future vision that we were working towards - but actually, I think what anybody trying to make sense of a place will always get excited about is this idea of a past. You can’t take that away. We are not starting from scratch. We want to honour and celebrate what was there, and build on that. 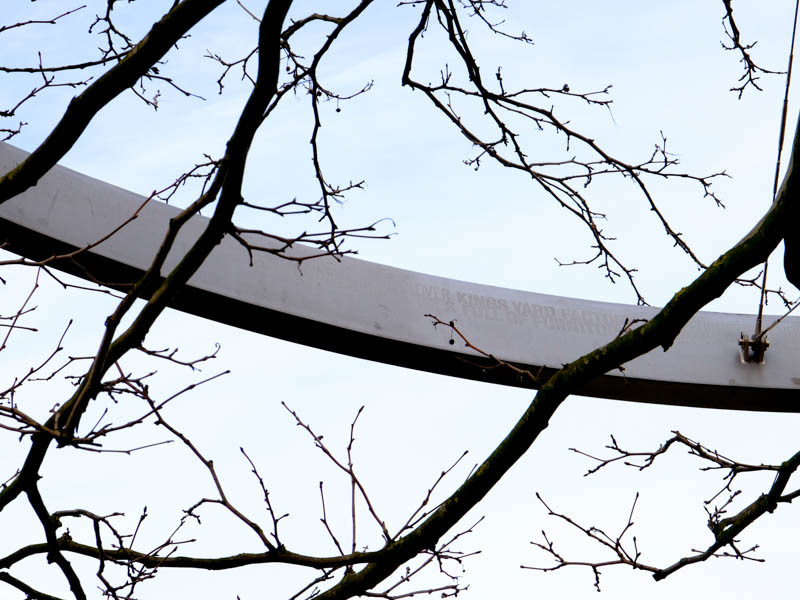 Do you think the process of working with artists helped to uncover that story for the Park? Many of the artists kept coming back to the history; yet none of that was ever written into any of our briefs. All of the five poems we commissioned were amazing odes to the past. Carol Ann Duffy wrote about Eton Manor Boys Club in the north of the Park. It had ceased to exist a long time ago but was still in the hearts of these old-age pensioners who had boxed there. She wrote this beautiful poem about legacy and history. We invited her to do a reading in the new clubhouse and there wasn't a dry eye in the house. They felt so utterly touched that the Poet Laureate had written about them. Lemn Sissay wrote about the trade union strikes that started on the edge of the park at the Bryant and May match factory. Caroline Bird wrote an amazing poem about Joan Littlewood and the Fun Palace that she had envisioned for the Olympic Park back in the '60s. We got an email during the Olympics from the playwright Stella Duffy, who had come to the park and had read this poem by Caroline Bird, engraved in into the side of an electricity substation, and she said, ‘my God, I’d totally forgotten about Joan's legacy here.’ She went on to initiate an annual festival called Fun Palaces that now exists across the UK. The history was inspirational fodder that people thrived on, and specific projects brought it to life. You’re also brokering relationships between the art world and the individual artists, and developers. How do you manage different personalities and backgrounds? As the Park evolves, how do you think the narrative can help the challenges of that really rapid development? It shows that there is some soul. There's something beyond just wanting to build fast and build big. When I talk about the Park now, I see it as three chapters. You start to work with artists and integrate culture into the landscape in permanent physical moments, where you are creating emotional connection. Then that moves into the programming of the Park: having people come and participate in carnivals and workshops, in volunteering, which becomes more active, building the story. And that leads into the future - how do we start creating creative jobs in the Park? With new cultural institutions coming in, and by supporting local economy that exists around the outside of the Park. So I see those physical artworks as having been the triggers of a much wider story. Now, the Park is en-route to creating a cultural legacy, and I think there's a new opportunity for that cultural vision to be even stronger. So with this legacy in mind, how do you let go of the story? There is still development - the Park is far from finished yet. While the development agency is still around, perhaps there isn't room yet for communities to feel that they can wholly own it. But on a larger scale, these organisations coming in - the V&A and Sadlers Wells, London College of Fashion and UCL - have really embraced the heart of East London. They’re really absorbing the narrative, but also wanting to create something new with it. The London College of Fashion is looking at whether moving to East London can be the catalyst for a new East London fashion cluster. What does that mean? What does that do for jobs, for skills, for manufacturing? The V&A were looking at whether V&A East can be the embodiment of a new museum for the 21st century. What can this kind of open, democratic civic space look like? This builds on what they had learned about the history of the area: the industry, the trade union strikes. These indicators of what had happened in the area are starting to inform their thinking. Now you’re going to move on to Thamesmead, what one principle do you want to take forward in terms of how you use narrative to create place? Listen to the locals. Go and have a cup of tea with as many as you can. That’s one of the things that excites me about a new area. I am hungry to hear new stories, meet new people. Rarely do you go in and raze everything to the ground and start again. You are invariably always going to be butting up against something existing. It’s about how you stitch that in. 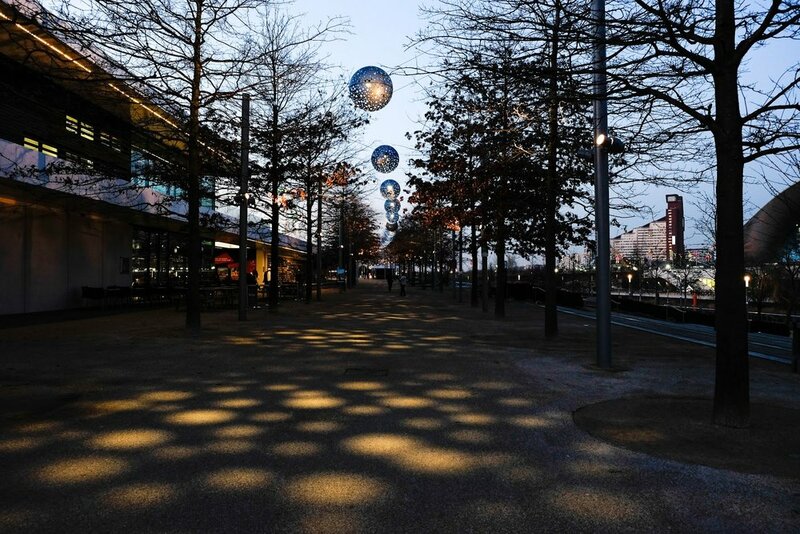 One of the last projects we worked on at the Olympic Park was the Leaway, joining up all of the tow paths from the Olympic Park all the way down to Thames. We're working with artists telling stories about it. It’s about the dirt and the ecology of this murky backwater. It’s about food and foraging. It’s about trade, looking back to the tea coming into the East India Docks. It’s just narrative. You can't escape it. It’s always there. The choice is about whether you choose to look for it and tell it, or not. What do you wish that more developers would take on board in terms of the value of narrative in place making? There is a trend that I don’t disagree with but I think needs to be expanded upon. It’s a common trope now where a new block of flats gets built and called, let’s say the Biscuit Factory — named after what was there before. But then take that step further. What did that symbolise and what can that now do for the future? A stronger sense of the future has to come out of the past. There is enormous untapped potential that narrative can add. Art adds flavour, soul and character to a place. But to ensure it’s not just an accessory, everyone has to be part of the story it uncovers. That means the engineers, the economists, the builders and the neighbours around the corner all build the narrative together. That way the very fabric of the place speaks to us all. Cities need big visions. But there's a danger that the scale can overwhelm and alienate us on an individual level. Where do I fit in? Thinking big benefits from being broken into human-sized experiences and stories to give everyone agency and an entry point. Jaime Lerner, urbanist and former Mayor of Curitiba, would call it Urban Acupuncture. The Incredible Edible network have created massive change through the simple act of planting vegetables. It allows every player and character to figure out ‘what’s my role in this story?’ and how together they can shape something bigger than by ourselves. Regeneration is a patient profession. So how do you match 30-year thinking with the frenetic reality of cities? Consider phases of evolution as chapters in a story. The First Chapter starts way back, before you’ve even arrived. Looking to the past sets the scene, establishes the breadth and elevates your story to epic. Physical elements built into the environment can be left to be discovered — bookmarks of history that spark curiosity. What follows in Chapter Two are events and action, the heart of the story keeping time with the city’s tempo and remaining relevant. Think ahead to the Third Chapter, the future, putting partnerships and platforms in place that will self-sustain jobs, economy, and inspire the next generation to write the (even better) sequel. Crack that and you have a cult classic on your hands.